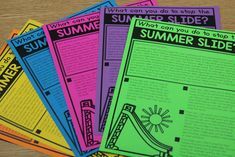 Hi there and thanks so much for spending a few minutes of your summer to discuss my new Writing Center Extension packet! This packet is on sale for 50% off through Sunday 6/10 so I wanted to make sure you go to see a sneak peek of it before that offer expires! 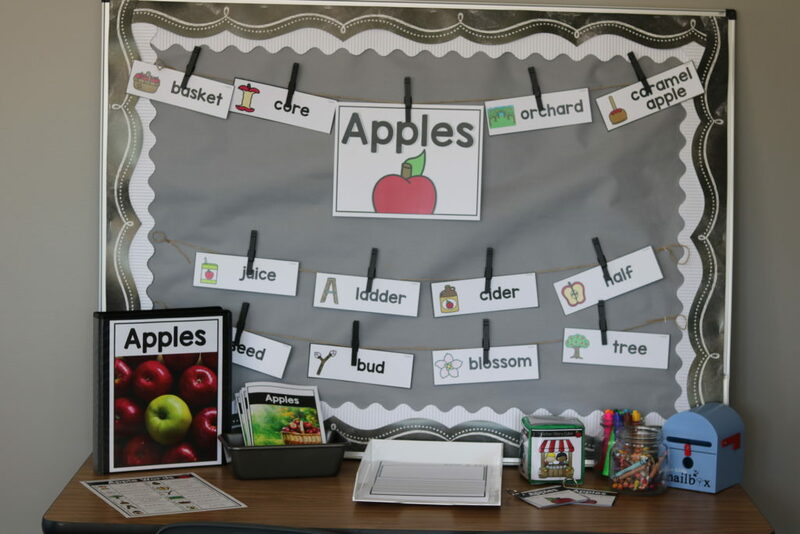 A lot of you have my K-1 Writing center or 2nd grade writing center! This packet is an extension to those! However, everything I show you today can be used as a stand alone packet! 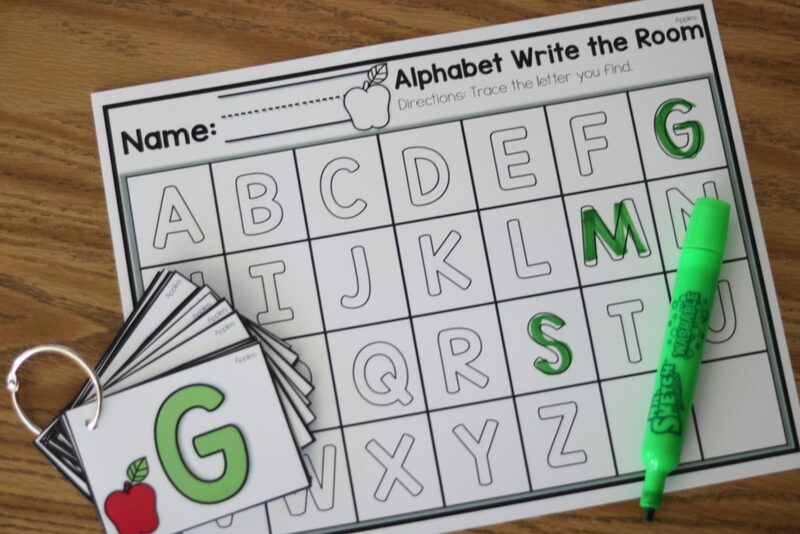 That means you could snag this 50% off packet only and still ROCK your writing center! 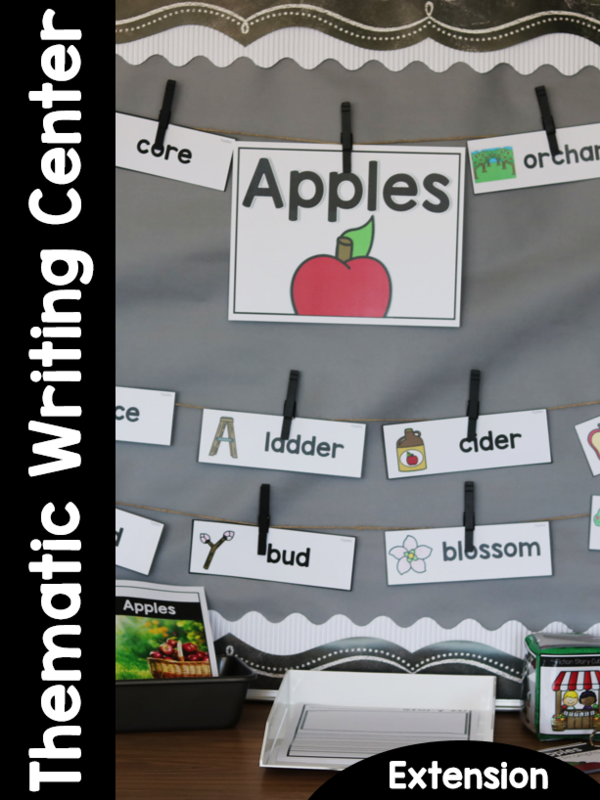 If you haven’t spotted my K-1 Writing center or 2nd grade writing center then you can read all about them at the bottom of the post! You will also want to enter my GIVEAWAY while you’re here! 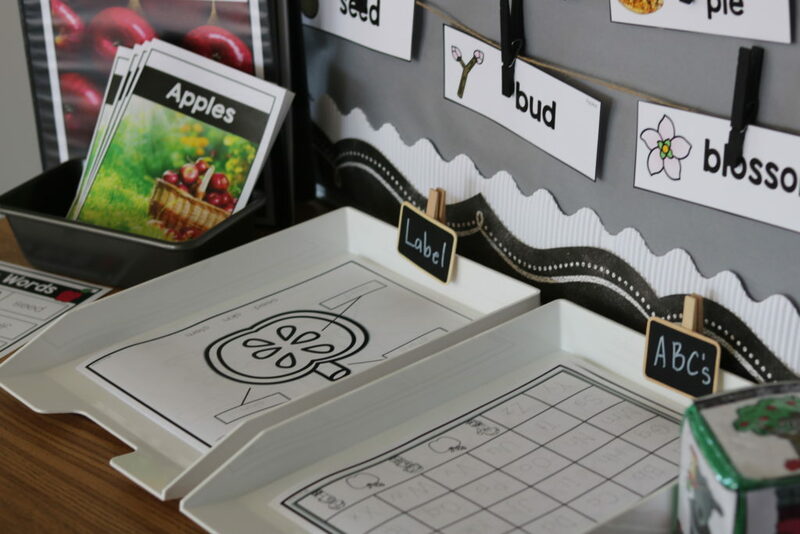 Win my adorable writing center setup! 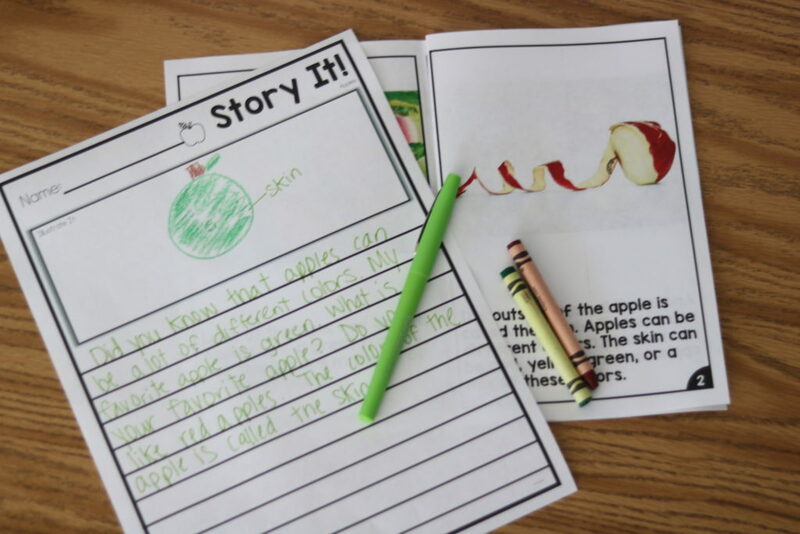 What is the Thematic Writing Center EXTENSION RESOURCE Packet (K-2)? 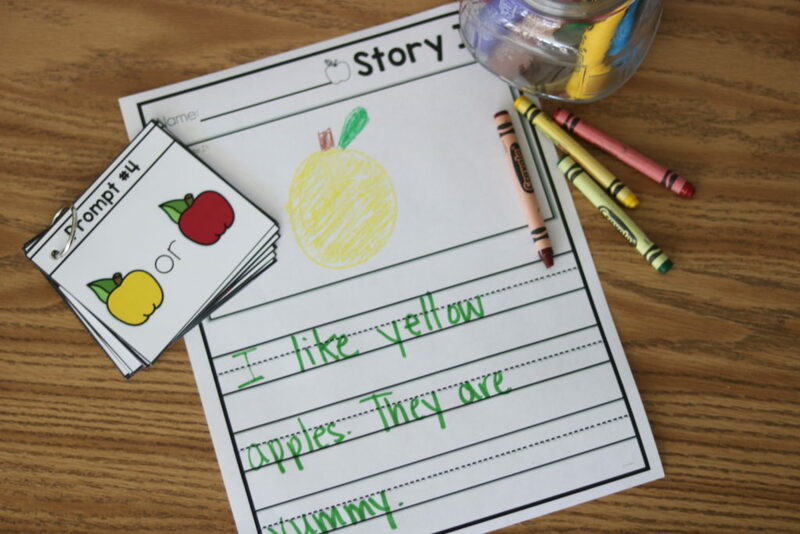 The Thematic Writing Center Extension packet includes word cards, story prompt rings, story starter cubes, resource books, nonfiction readers, word lists, write the room activities and writing paper. All of these items are available in all 90 themes. 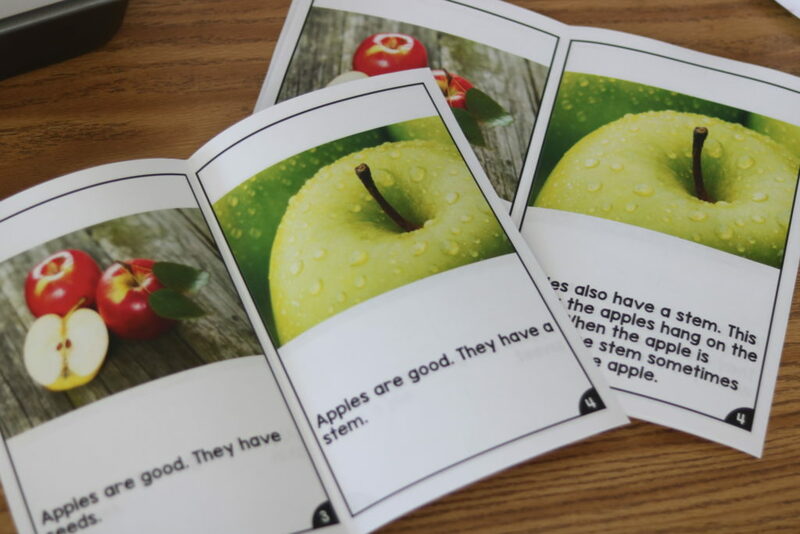 The packet includes 12 word cards per theme for a total of 1,080 cards. 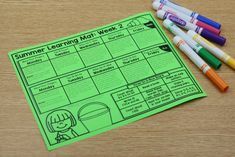 This packet can be used in conjunction with my Thematic Writing Center packet or completely stand-alone without the Thematic Writing Center packet. 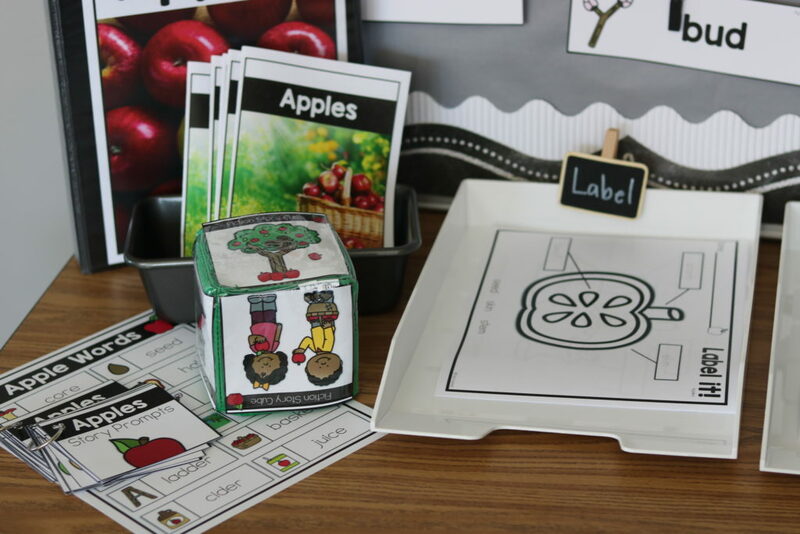 This packet is offered in a differentiated format to cover skills for K-2. 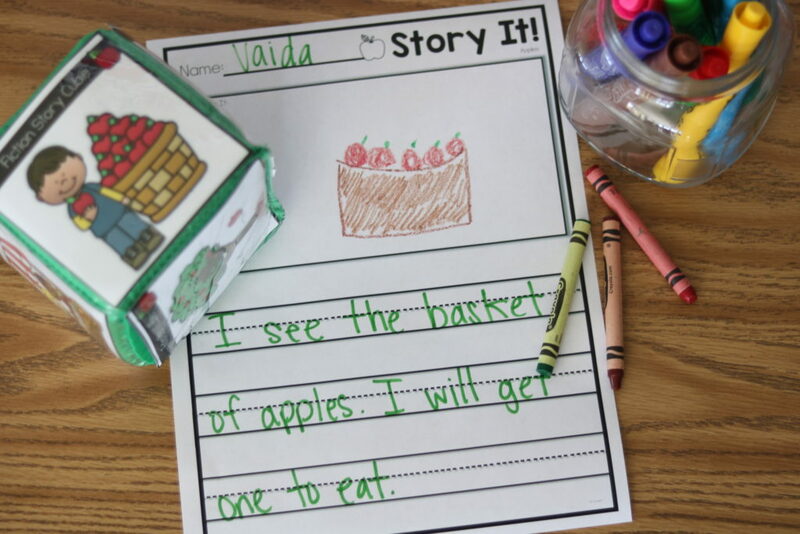 The readers, write the room, writing paper, story prompt rings and resource book are differentiated. 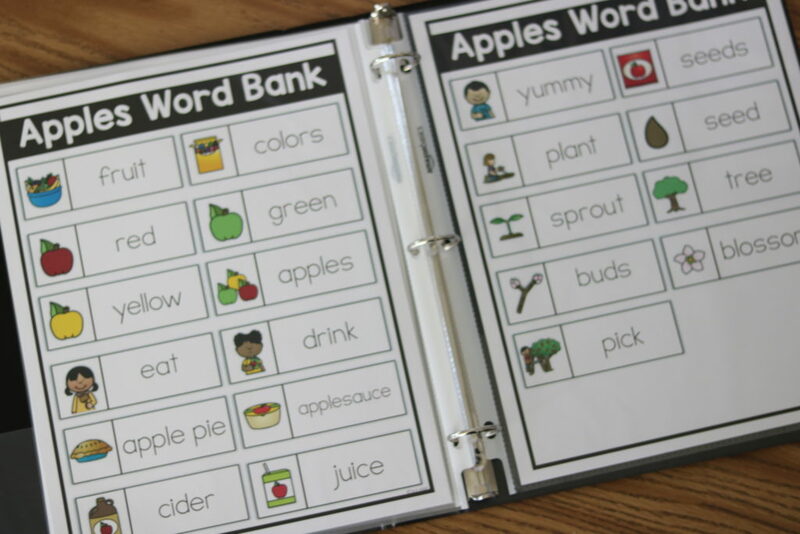 EVERYTHING in the picture above is found in my NEW writing center extension packet! Awesome right? Well, what’s even more AWESOME is that everything you see is included TIMES 90! Yep! There are 90 themes included so everything you’ll see her is X 90! WHAAAT! View the view below to “see” and “hear” more about this new writing center extension! Below I will go over everything that is included! 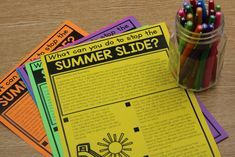 What is included in this Thematic Writing Center EXTENSION RESOURCE Packet? Just a reminder that the themes are independent of one another! You can swap the themes to any month you need! 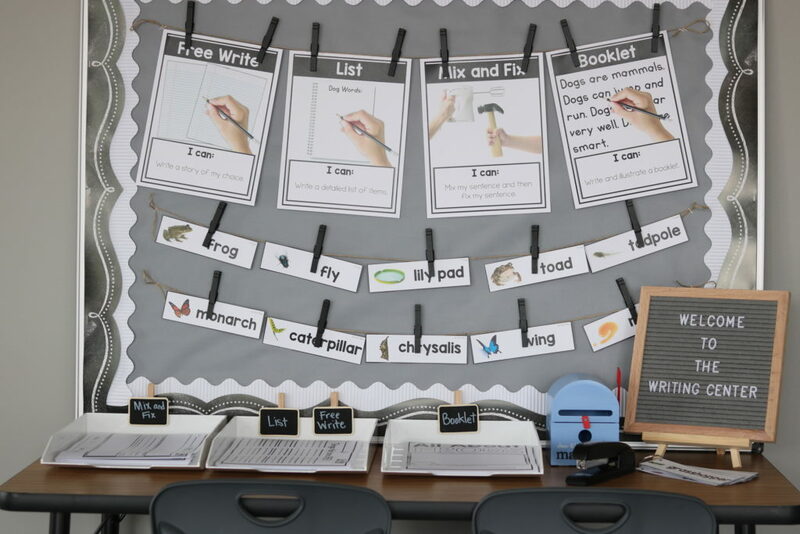 What activities are included in the writing center? 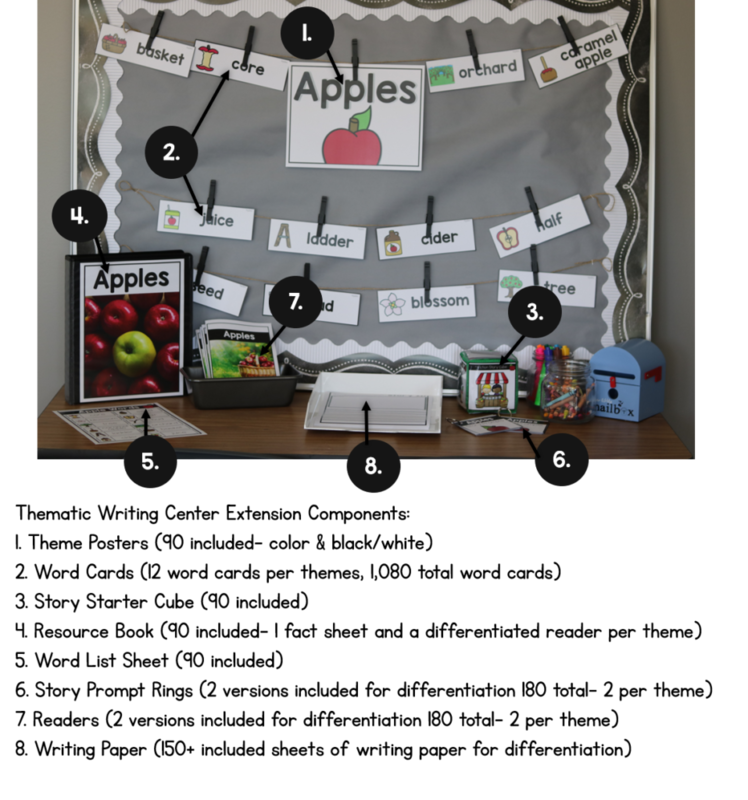 The resource book is included for all 90 themes. 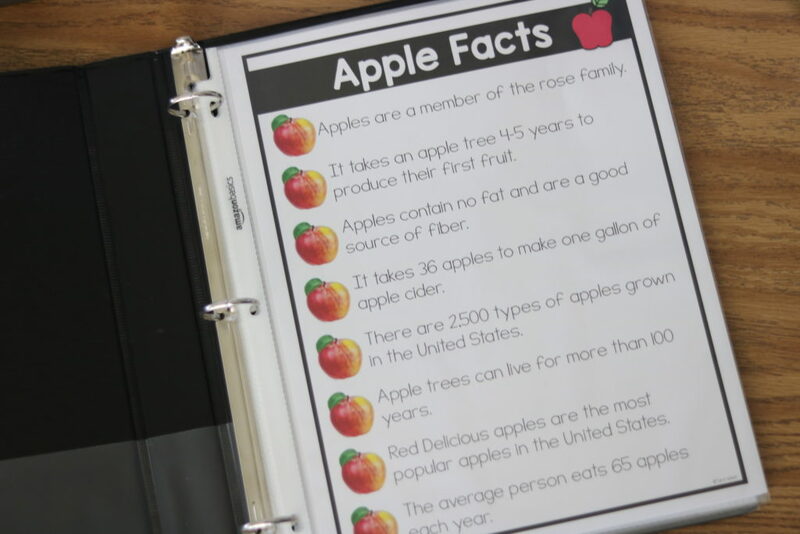 The resource book includes a cover sheet, nonfiction fact sheet, differentiated nonfiction reader and reader word bank sheets. 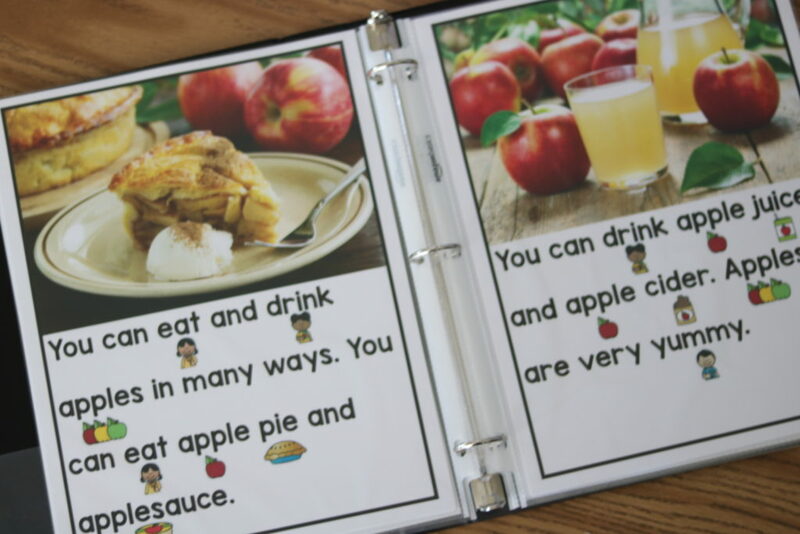 Place the resource book in a binder or spiral bind it. 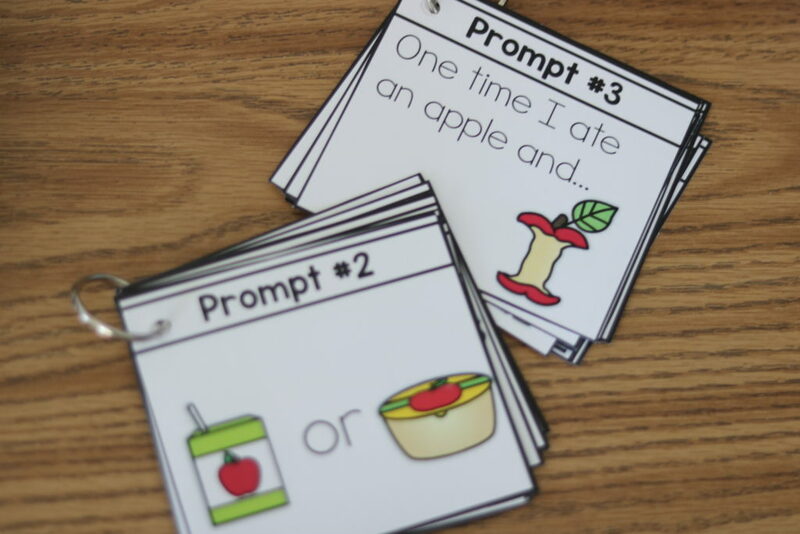 The story prompt rings are a way to give students a “jump start” to their story. Choose between the two differentiated versions. 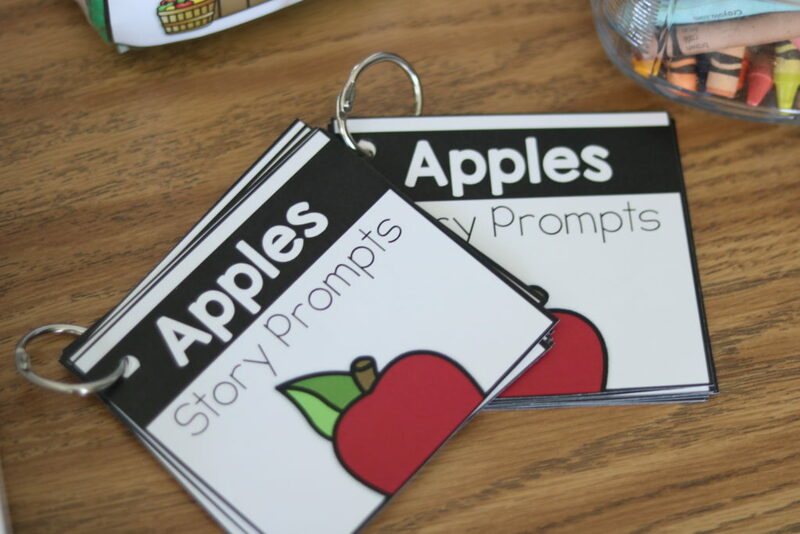 Place the story prompt rings in the writing center along with writing paper. 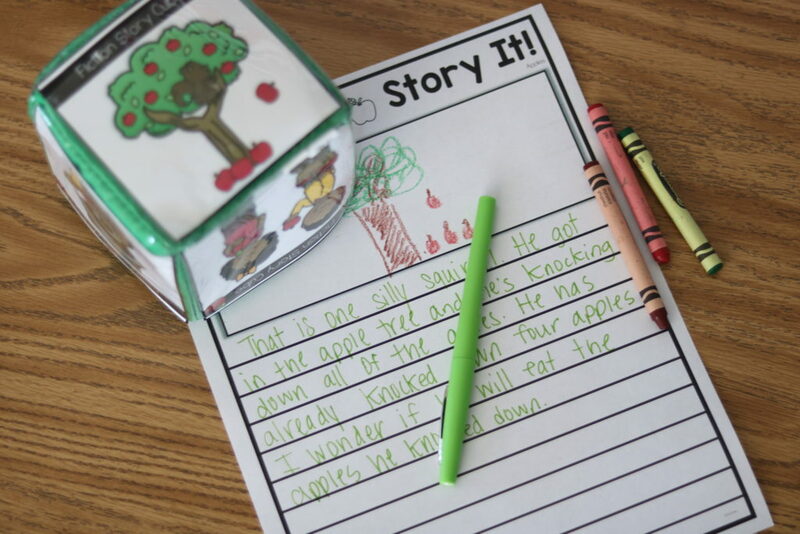 The story starter cube is a way for students to engage in the writing process in a fun and hands-on way. 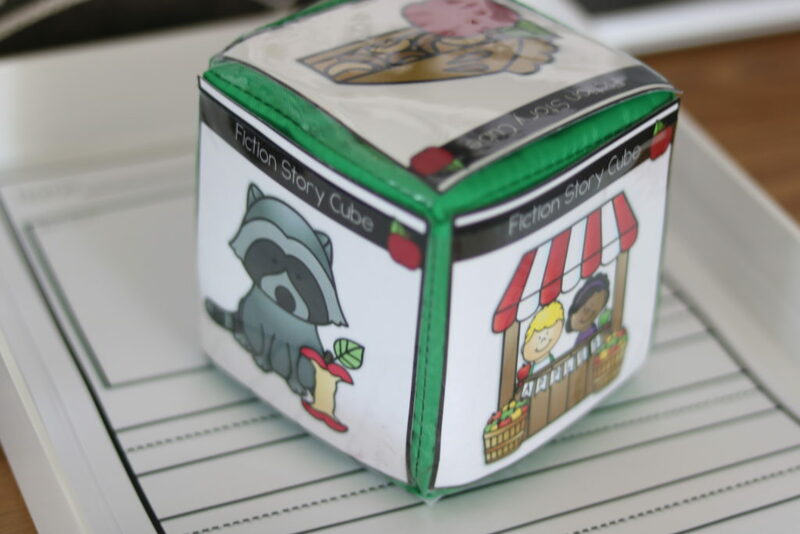 The students will roll the story starter cube and then write a matching story. 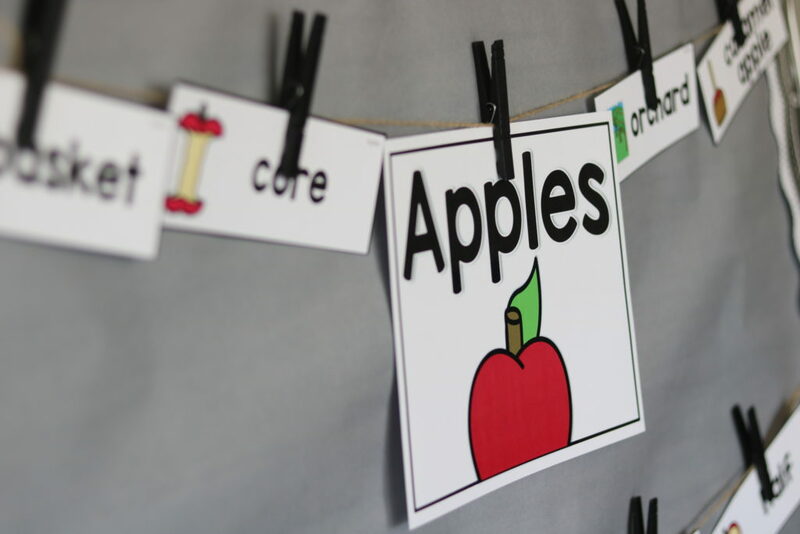 The readers are available in two differentiated levels. 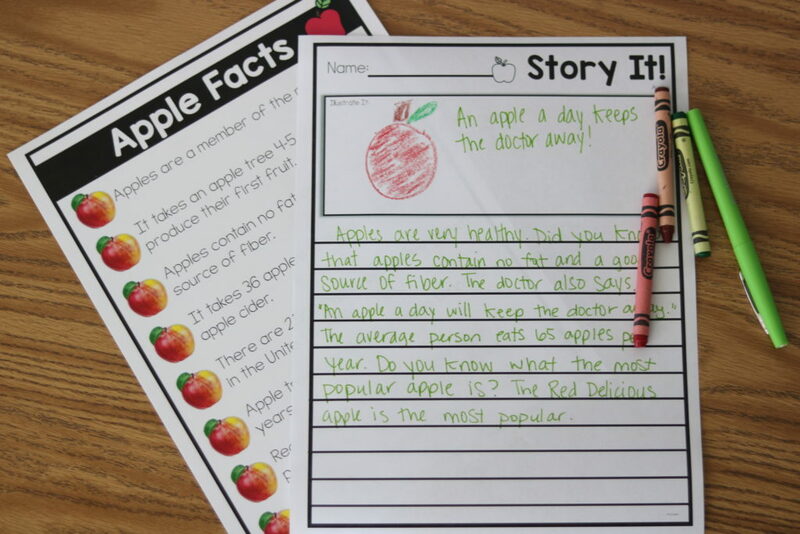 The students can read the kid-friendly nonfiction reader and apply the facts in their writing. The “easy” version stays around a level B! The “harder” version goes between and E and H! The books are meant to be “quick” reads so students can access factual material! 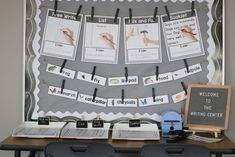 The write the room activities are a way for students to add movement to the writing center. 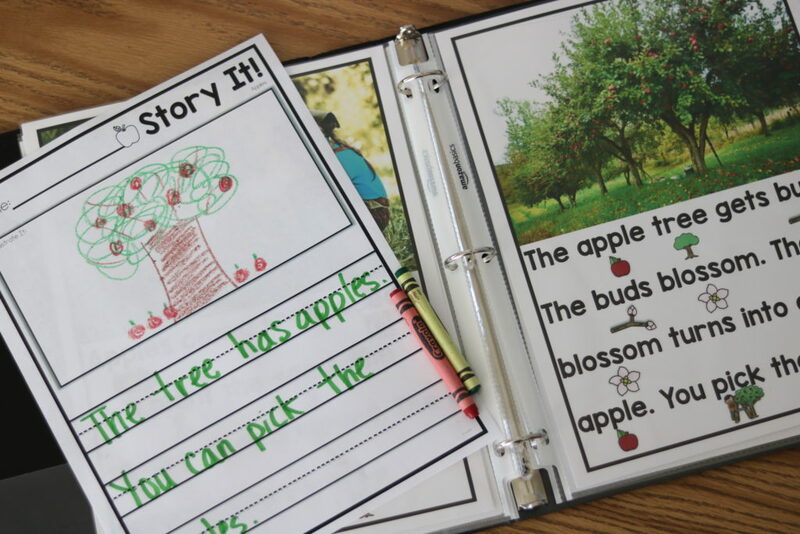 You can choose between the two included differentiated versions. You can also print and place the cards on a ring as a stationary option. 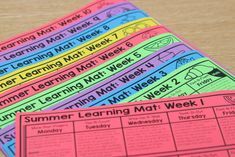 The packet also includes over 150 sheets of differentiated writing paper! 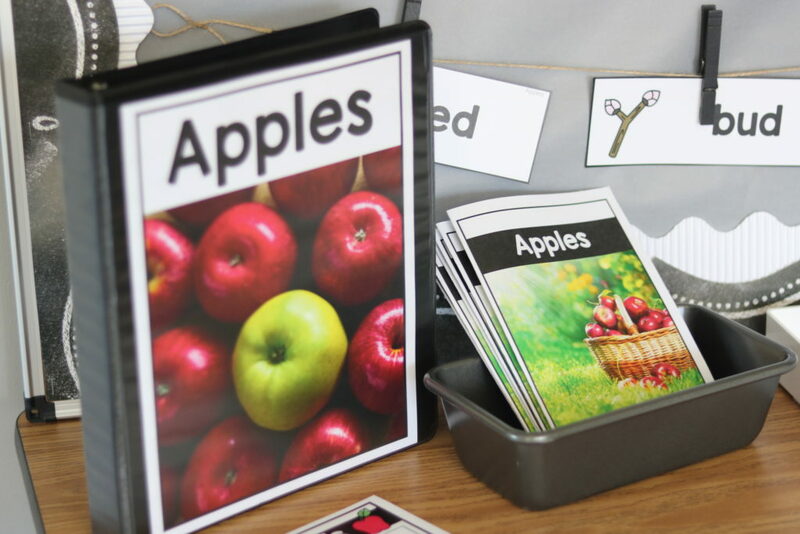 There are literally version after version so that you can select what works best for YOUR kiddos! What is different from this bundle and the other writing center packet I just bought from you? 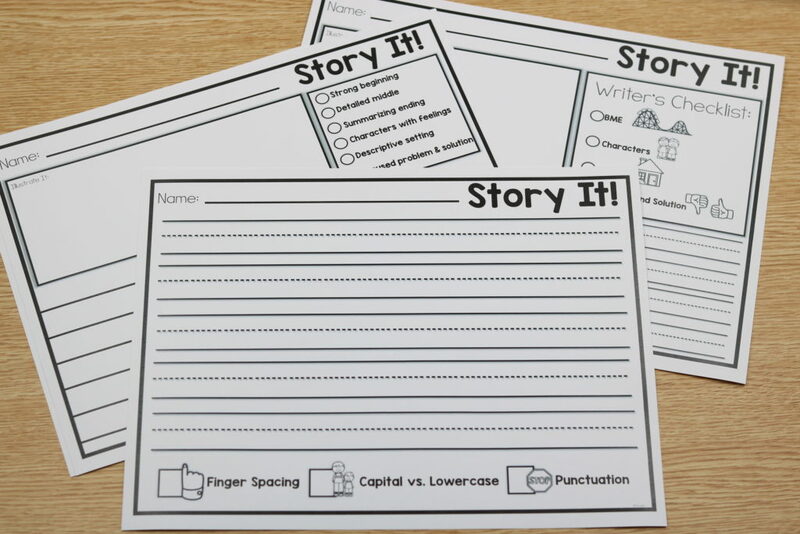 I wanted to create a writing center packet that could stand alone as a supplemental writing center or could easily be paired with my original writing center packet! If you own that original writing center and you would like to “see” how this packet can easily be paired with it… please view THIS VIDEO! 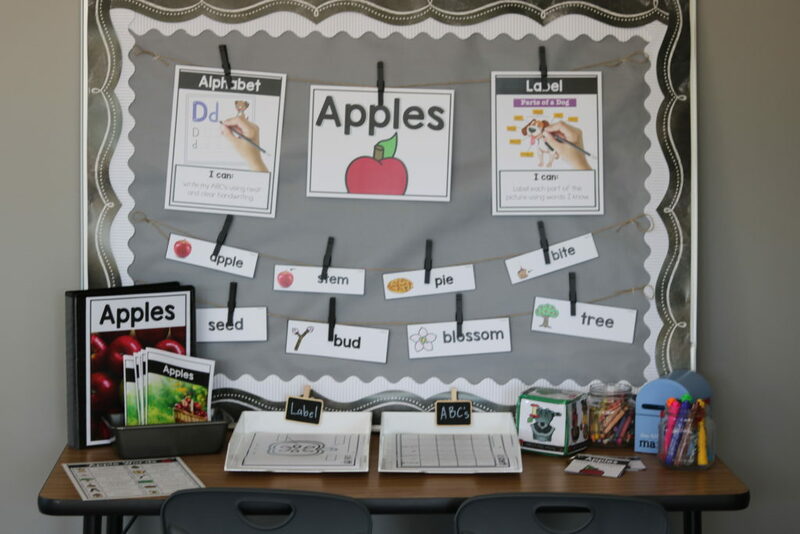 After posting my original Thematic Writing Center (Kindergarten and First Grade) and my Thematic Writing Center (Second Grade) teachers begged for more because their kids begged to take a turn a the writing center! 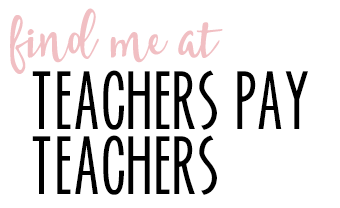 I wanted to create a writing center packet that could stand alone as a supplemental writing center or could easily be paired with my original writing center packet! The pictures below show the correlation between this EXTENSION packet and my original writing center packets! You can snag the writing center bundle for 50% OFF through midnight EST Sunday, June 10th! You can view the bundle HERE. 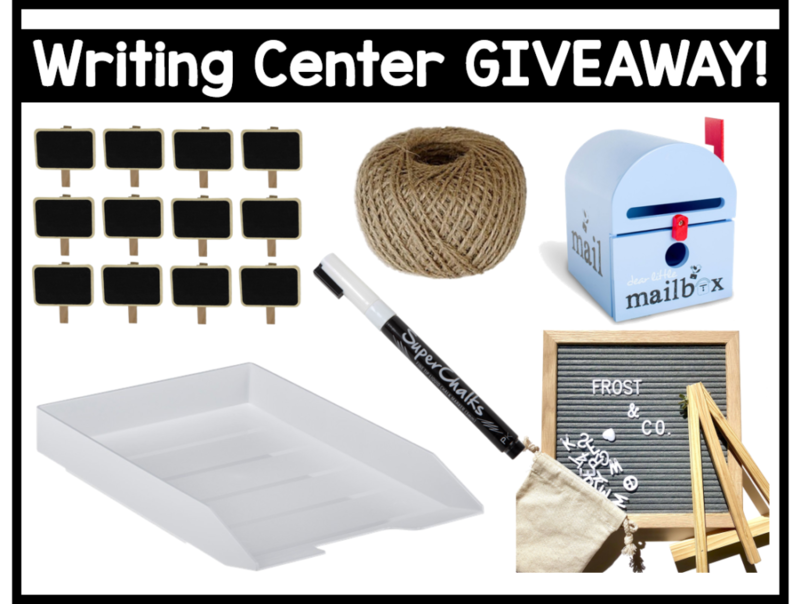 You can also enter below to win ALL of the items in my writing center! The items below are valued at $135! The giveaway runs through Sunday as well! Enter below on the Rafflecopter or click HERE. Ps. If you’d like to read up on my original writing center packets you can click the image below or view these links! This writing center is amazing. 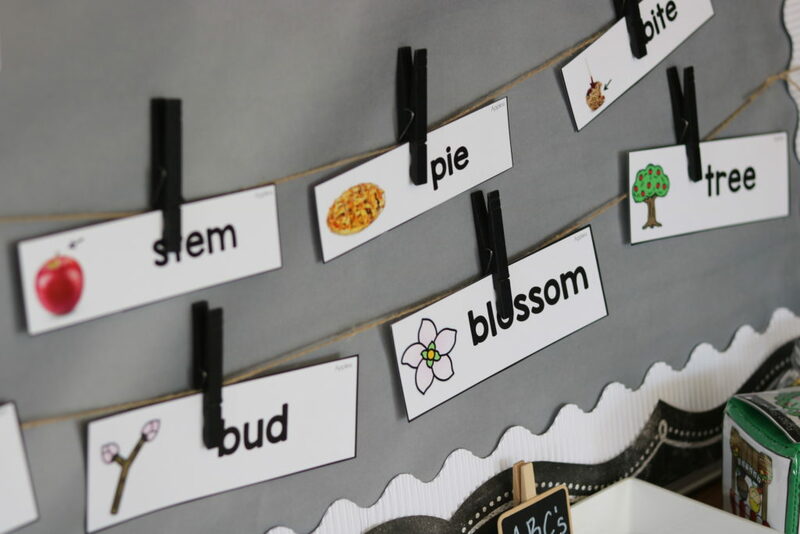 My 1st grade students would learn so much. 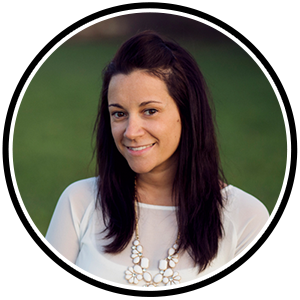 Thank you for your hard work to help other teachers be more successful in this content area. I would really appreciate winning this writing center. I would love ? 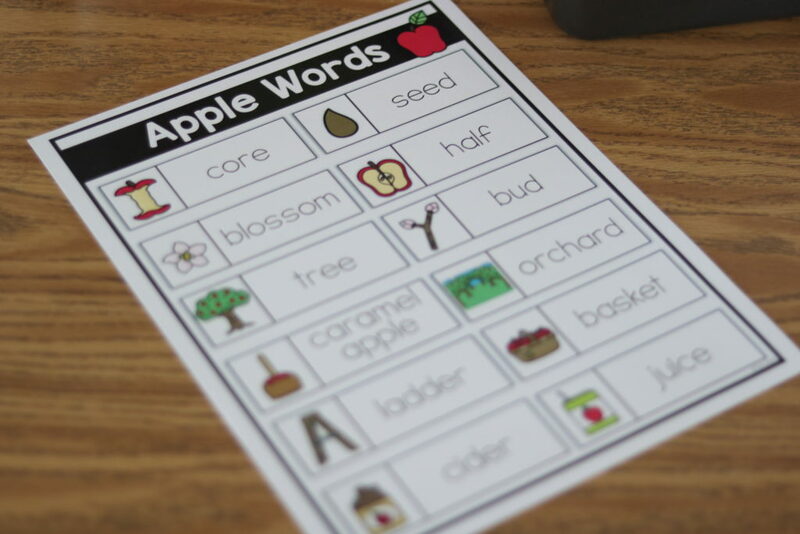 to win this to use with my students. Thank you. 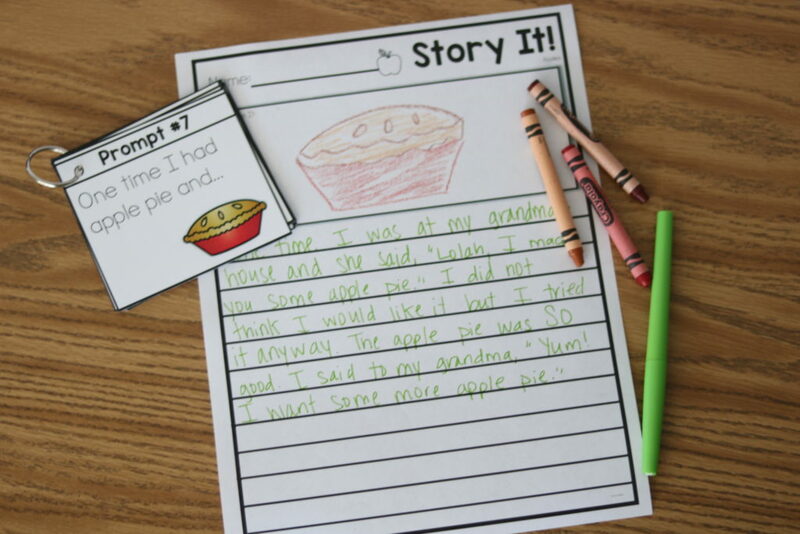 Want a fun cute way to grab their interest in becoming a writer! 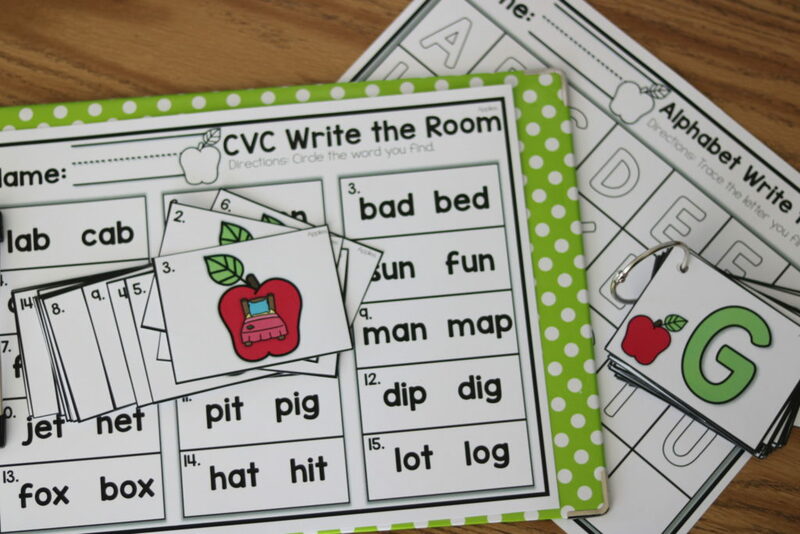 I want to use your writing phonics and math centers in August in my first grade! I carried over my faculty senate money so I could purchase as much as I can! 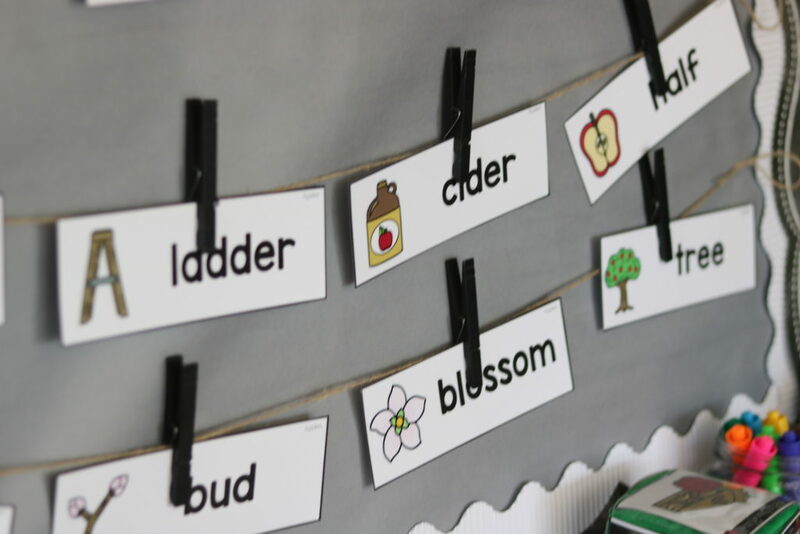 Going back to kinder after 2 years away. So excited! I know I’ll have a lot of updates to make in curriculum since its been awhile. Would love to get my hands on as much stuff of yours as possible. My planning month is July. Did I mention how excited I am? 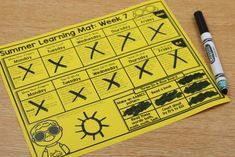 First year teaching ! What an incredible start this would be!!! Please, please, consider me!! Wow! This would really be fabulous in my room. I am ready to open up my Scan n Cut and give it a whirl with this . My new students would live this. Thank you! This is an amazing writing center. I would love to win this. All I can say is WOW!! You’re amazing. I would love to win this!! I’m writing a grad paper on this subject this summer. Would love to have all these resources!!!! 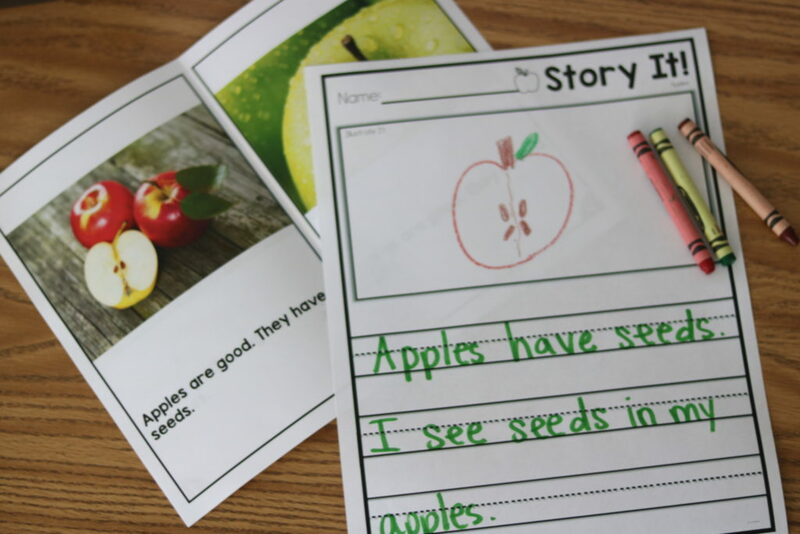 Helping my kinders with writing is my number one goal for next year. 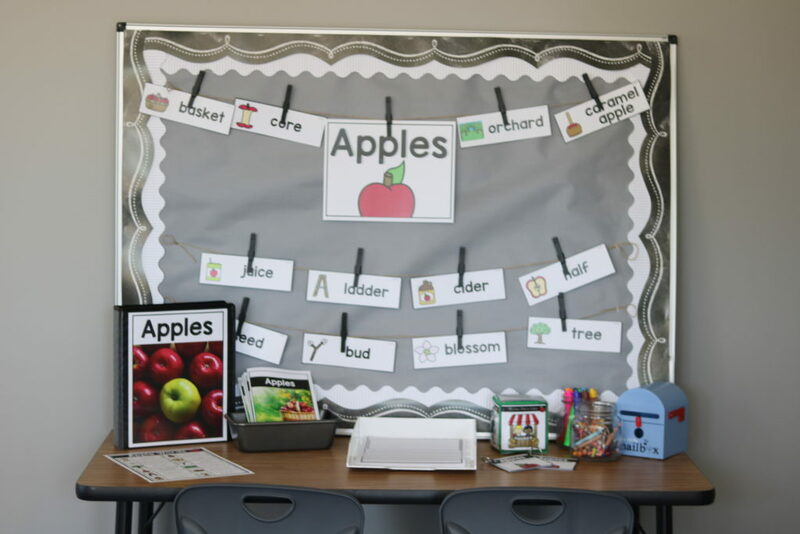 This center would be a great addition in my classroom. I have loved everything i have bought from you so far!! 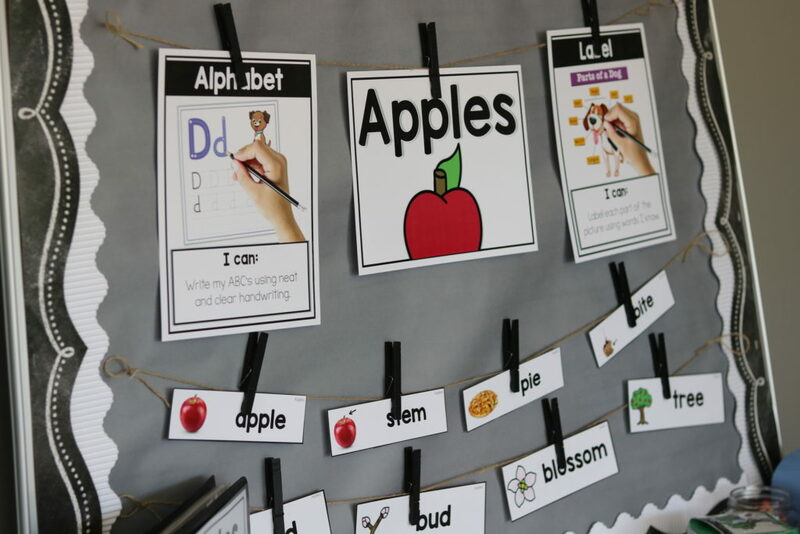 Love love love the literacy & math centers. 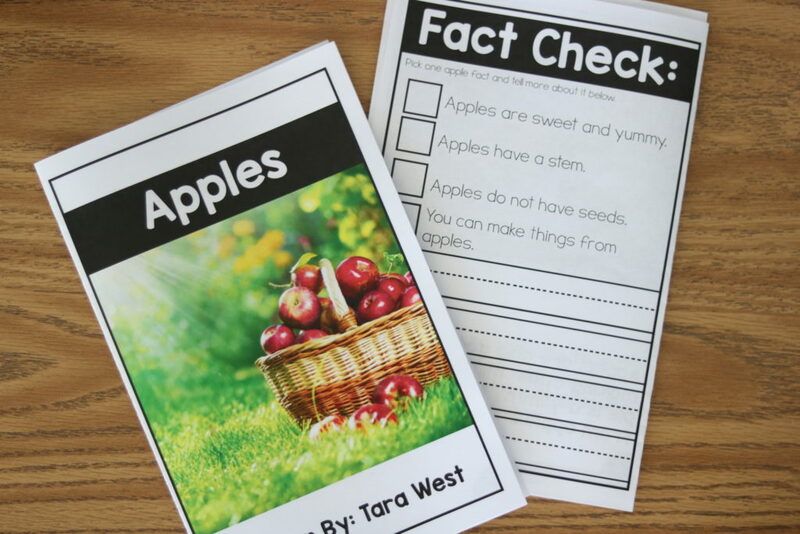 I would love to add writing to my list of Tara products! This would be a great set for my pre class. Bought extension. Would love the bundle. Love this. Can you tell me where the raffle items were purchased? I want to purchase them. This is so amazing!! Thank you for sharing!